Don’t sweep your impact fetish under the rug, the House of Eros Carpet Beater will leave marks to be proud of! Hand made from top quality willow reeds and finished with a coat of varnish, the House of Eros Carpet Beater is a light weight impact play tool that is fun and easy to use. 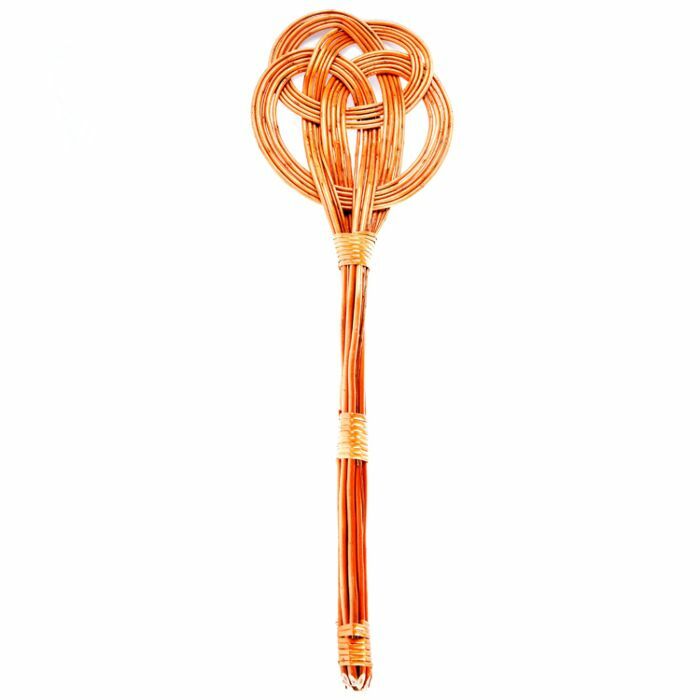 The wide surface of the carpet beater covers quite a bit of the spanking sweet spot in one blow and delivers supreme sensations with every hit. The long handle ensures optimum grip and control to ensure that your play is always a hit. Build up the tension with light, gentle taps and once your sub is suitably warmed up, now’s your chance to increase the velocity and force. Trust us; you’ll enjoy the percussive sound as you beat the devil out of your sub’s bum. The House of Eros Carpet Beater leaves a gorgeous impression with each stingy swing, so just imagine how daunting it will look as it takes centre stage on your dungeon wall. With beauty and brawn in equal measure, it is big in size and will have a big impact on your play!